Being or ego is the question facing all of us as we reflect on ourselves and awaken to our true nature. Are we acting out our egoic patterns of fixation, or are we living a life of love and freedom? The Enneagram of Liberation is a wisdom mirror, holding up a light to illuminate our deepest egoic movements and patterns. When subconscious patterns of behavior, emotions, and thinking are brought into the light of consciousness, they lose their hold on us; we discover the capacity to be still, and can stop taking the world personally. Our Founder, Eli Jaxon-Bear, discovered the Enneagram in the 1980s in Berkeley, California. Originally a Pythagorean mathematical symbol, he reset it from the way it was being presented – as a personality system – to one of character fixation. This ancient Pythagorean insight has been incorporated into the Leela therapeutic model. Using it to bring insight and clarity to a client’s presenting issues and the deeper fixated subconscious drives, it allows the therapist to see beyond the surface effects, and go straight to the cause. Each year we offer, as part of our yearly True Friend Immersion training, or as a separate course, a focus on ego and insight using the enneagram. Ego or True Self: The Enneagram for Awakening, is made up of two five day retreats and an online portion including five mentor sessions. In this course, you will discover your particular egoic fixation type, and how this creates a false sense of self. Through direct experience, exercises, and watching exemplars, we will investigate the movement of mind, emotions, body and circumstance, and how these are used by the mind to create a story of “me and my life.” In this exploration of the fixated egoic trance, there is the possibility to discover what is not fixated, and in that discover the deeper truth of who you are. You will also become proficient at recognizing your client’s fixation, as well as learning how to work with the different fixations, using this insight therapeutically as leverage for profound seeing and understanding, and appropriate intervention. 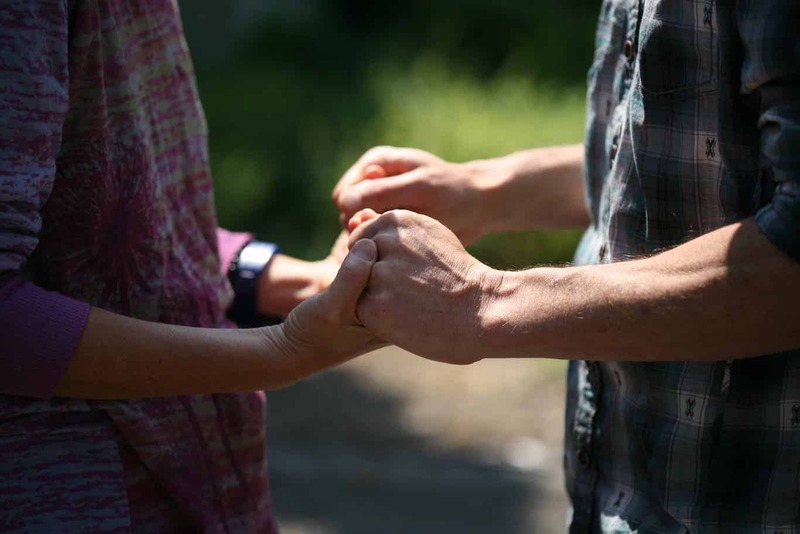 A 5-day in-person retreat, held in Ashland, Oregon, Byron Bay, Australia, and Amsterdam, the Netherlands, with Eli and Leela School teachers and mentors, covering the Enneagram of Character Fixation from beginning to end. It is an opportunity to immerse yourself in the recognition of your own fixation and discovering freedom from identification with the fixation. An online module consisting of two full Enneagram Retreats at Esalen Institute as well as a complete section of Enneagram exemplars, from each fixation and sub-type, explaining and demonstrating their fixation, with recorded insights from Eli and Staff. In addition to watching the online videos, Part 2 includes 5 private one-on-one sessions with a Leela School Mentor. A 5-day in-person retreat held in Ashland, Oregon, Byron Bay, Australia, and Amsterdam, the Netherlands, with Eli, alongside Leela Teachers and mentors. A more advanced retreat showing the deeper levels of the structure of ego and the use of insights from the Enneagram in a therapeutic context.